Latvijas Banka (Bank of Latvia) is the central bank of Latvia – an independent institution and a participant of the Eurosystem. Latvijas Banka manages the foreign reserves, issues cash in Latvia and participates in ensuring the cash circulation process in the euro area and several other key aspects of the Latvian financial system. 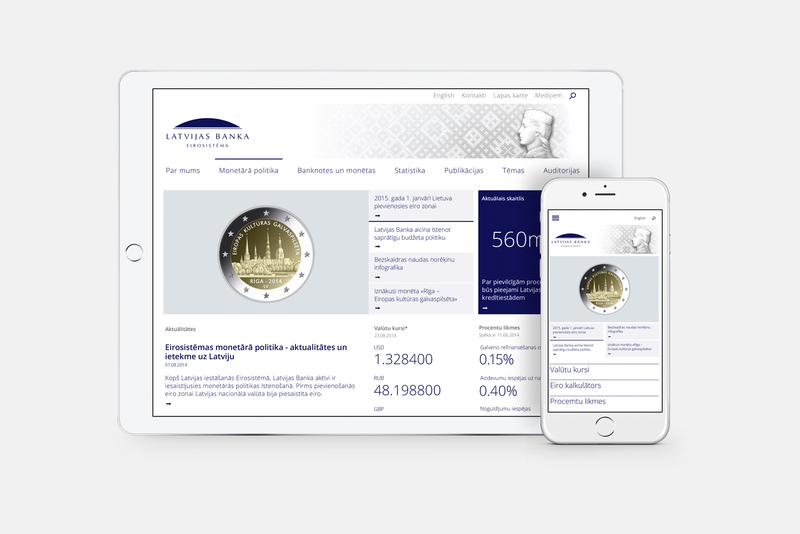 We have had a long standing cooperation with Bank of Latvia - creating the visual identity for “Naudas skola” (platform for explaining financial system to kids), as well as creating the look for an ad campaign for collectible coins. 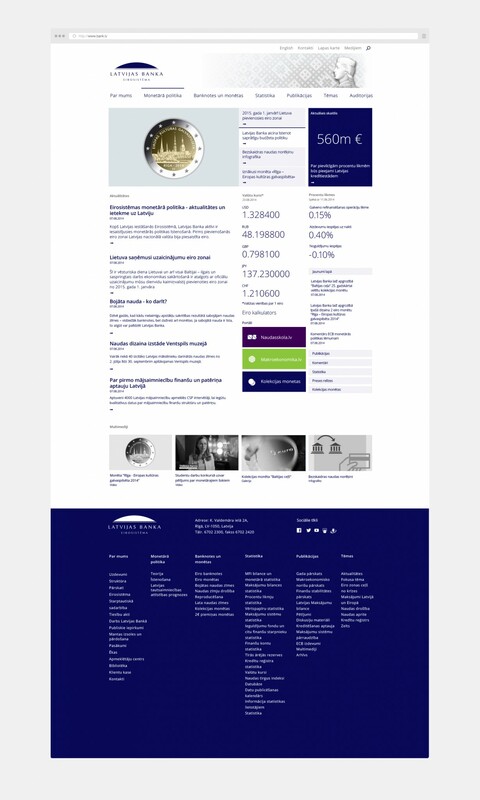 When we received the brief to completely revamp the design of their main page, we organized brainstorm together with client to understand the main objectives and functions of the new site, and together with development team created the wireframe designs and final designs of the website. 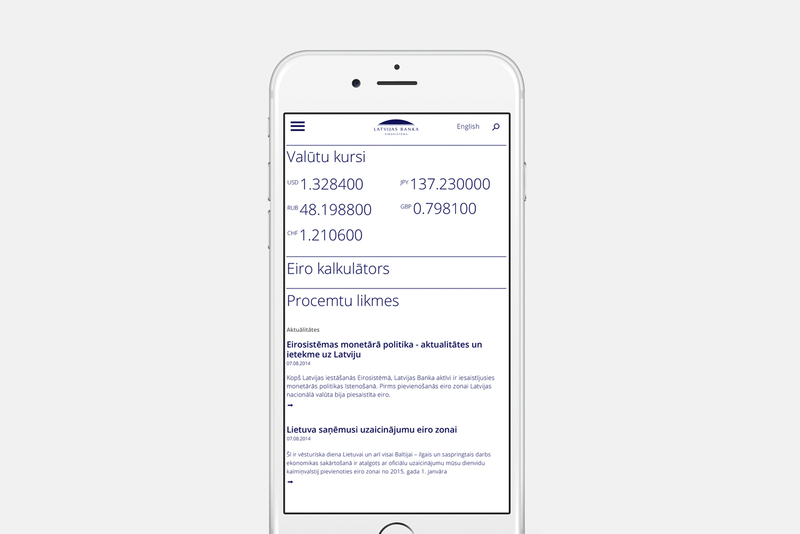 Services: wireframe designs; UI, usability planning; Responsive design; Final web designs; Design consultations during implementation; Design guidelines for publicly available Bank of Latvia information systems.